DAVIDOFF Amber Blend is the third opus to continue the DAVIDOFF Blend Collection, an exclusive line of eaux de parfum designed for true connoisseurs. The DAVIDOFF Blend Collection is inspired by the life and philosophy of the brand’s founder, Zino Davidoff, who travelled the world to source its finest offerings. His passion for skilled craftsmanship, his devotion to exceptional materials and his appreciation of exquisite beauty ensured that the DAVIDOFF name became synonymous with refined quality and style. Today, the Blend Collection continues to embody the DAVIDOFF values of uncompromising excellence and elegance, offering rarefied blends of noble ingredients, presented in exclusive flacons. Each of the fine fragrances in the collection celebrates a high-quality ingredient that evokes opulence and pleasure. Launched in 2014, the musky warmth of the Leather Blend is designed around a virile note of leather while the captivating Agar Blend, introduced in 2015, centres on one of the most sought-after ingredients – oud wood. This year, DAVIDOFF Amber Blend brings the prized radiance of precious amber to the luxurious collection. Exuding timeless sophistication, this new masculine fragrance delivers a unique and intensely sensorial experience. 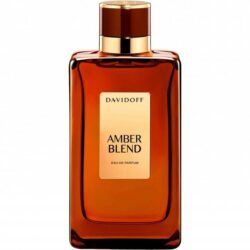 Created by master perfumer Olivier Pescheux, DAVIDOFF Amber Blend is an oriental spicy fragrance with a radiant allure. Built around an incandescent amber accord, the scent is an enticing union of treasured and oriental notes. It opens with a warm and sensual spice mix of cinnamon and nutmeg, giving an initial invigorating vibrancy. At the heart, resinous amber fuses with succan absolute – a purified rum extract – for a rich and vibrant expression of masculinity. The luminosity of the amber is amplified by creamy sandalwood and mellow Peruvian balm to deliver an irresistibly sensuous signature. “When developing this fragrance, my source of inspiration was a high quality palette of ingredients. I used some new beautiful raw materials that could sublimate and renew the emblematic Amber accord, such as the natural Succan absolute, still very rare and unique ingredient in perfumery,” says Olivier Pescheux. The elegant Amber Blend bottle perfectly complements the collection’s refined look with its deep amber tone. The precious ingredients of the juice are carefully encapsulated in a refined bottle made of two delicate panes of glass, creating a distinctive groove along the flacon’s sides. The gold metallic plate and the gold and dark amber cap add to the feeling of understated luxury. In keeping with the distinguished design, the matching folding box has a lightly-embossed textured effect that enhances the sensorial journey and complements the sober grace of the enclosed flask. 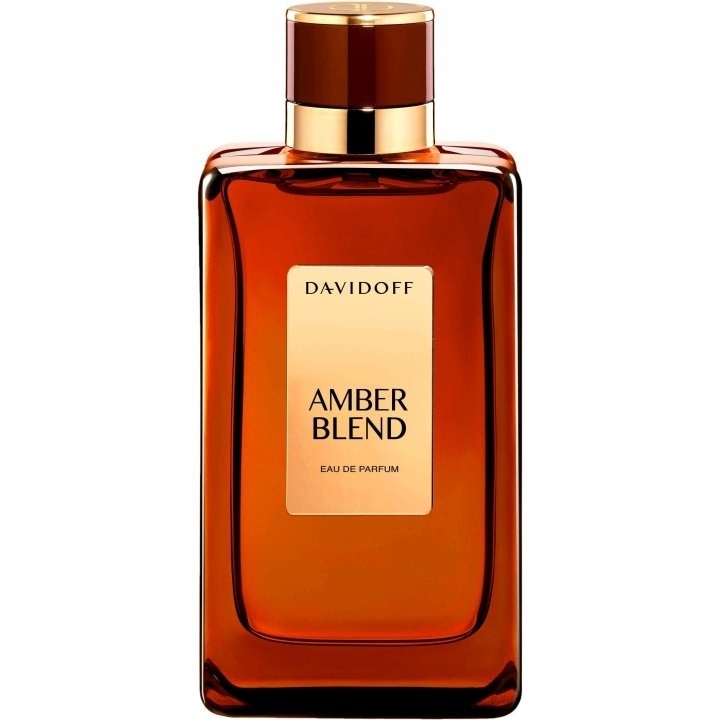 The suave sophistication of DAVIDOFF Amber Blend is beautifully expressed in the print advertising campaign, which depicts the bottle against a glowing backdrop of fiery amber. The powerful image will transport you on a lavish journey of the senses. The Amber Blend flacon also stars alongside the DAVIDOFF Leather Blend and Agar Blend bottles in a captivating still-life image showcasing the entire DAVIDOFF Blend Collection. Amber Blend is available in 100ml EDP bottles. Davidoff Amber Blend was launched in 2016.